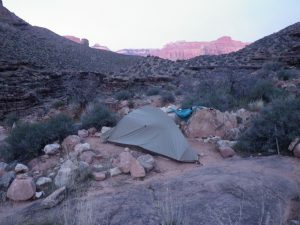 After I’ve settled on the perfect location to call “home,” and the tent is set up, my sleeping bag spread out to re-fluff itself, I clean up and change into my “clean” camp clothes. 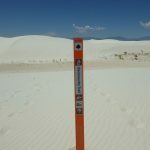 If there is ample water this entails a sponge bath with a bio-degradable soap – currently, I’m a big fan of the Sea to Summit Wilderness Wash, Pocket Soaps. They are little, dry leaves of soap that come in a tiny, super light plastic case. They take up no space, are nice to your skin and are biodegradable. One or two leaves to a half liter of water, and my 8″ x 10″ microfiber towel/cloth and I am clean! After a sweaty, dusty trail day I like to wash up, as much as possible. 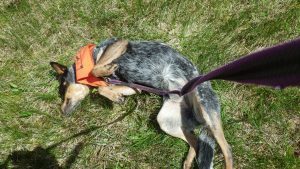 It helps prevent pack sores, chafing, rash, etc., and keeps your sleeping bag clean. 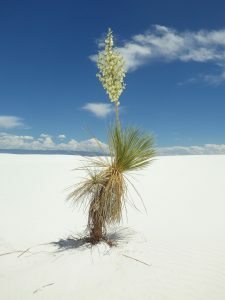 If I’m in a dry camp and don’t want to use the extra water, I carry a few fragrance-free baby wipes, preferably with aloe. These will get the sweat and most of the dirt off until I arrive at another campsite with water. 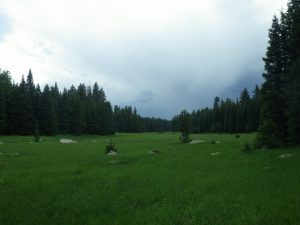 Usually, I try to plan out ahead of time, if my campsites will be dry, or not and try to pack just enough wipes. They are pre-moistened, so weigh a little more than the soap leaves. Once I’m all nice and clean, I put on silk weight base layers, clean/dry socks and whatever insulation the weather calls for. None of this is particularly heavy and really does feel good at the end of the day. It’s worth the extra few ounces, to me. Collecting and filtering water is usually next on my list of camp chores. 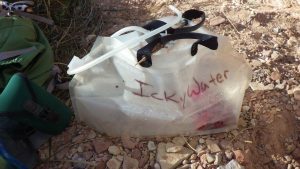 I carry a large 6-liter container to collect the unfiltered, “Icky” water. I’ll then carry this back to camp, where I can sit comfortable and filter to my heart’s content. Last summer I switched filtration systems. 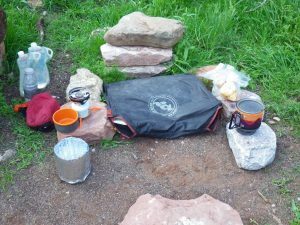 I’ve used an old Pur Hiker set-up for years. It works, but it’s heavy and slow and I have to sit there and pump the handle, and if the filter gets any sediment build-up in it, this can be a slow process. My new, Katadyn Gravity Camp system requires no pumping, weighs about 10 oz (they say 12, but I get only 10 on the scale) and filters water fast! Fill it, hang it, open the hose clamp (it works like a giant IV bottle) and in a few minutes, you have 6 liters of clean water. The cartridges are back-flushable and compact. 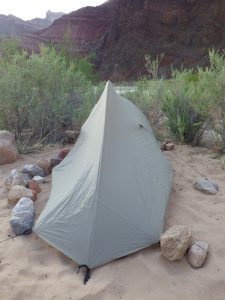 I rigged up a cheesecloth pre-filter for mine, and was able to filter Colorado River water for 5 days – it was running very red/brown when I was there – with no problems. The meal prep is pretty simple: Open the dinner ball, place it in the insulator/stove cover I made out of reflective double insulation, pour in the appropriate amount of boiling water, re-tie the plastic bag and wait 10 minutes. The insulator works to keep the food hot, and when not serving that purpose, covers/protects my JetBoil stove when it’s in my pack. It weighs less than 2 ounces and cost about 50 cents to make. After dinner, doing the dishes entails crumpling up the empty plastic bag/dinner ball, wiping any food residue off my spoon with an alcohol swab and letting things dry. I’ve taken to “washing” dishes with alcohol wipes, as they are very small/light, the alcohol evaporates and leaves no flavor, you waste zero water. 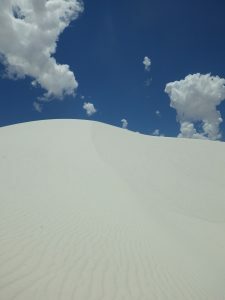 In the desert, that is everything. After packing away the kitchen, rehanging the food bag and making sure I’ve left no micro trash out, I drop the back of my chair a bit and relax. 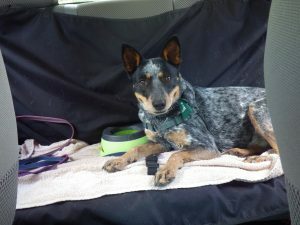 I have a Big Agnes Cyclone chair that I’ve been using for several years, now. I know, chairs are just a luxury item, and you don’t need one. No, I need it. There is nothing like being able to stretch my legs out and lean back after hiking all day. It weighs less than 6 ounces, works with any 20-inch pad and is quite comfortable considering how simple it is. Depending on h0w many miles the day covered, I’ll stay up and star-gaze. Or, crawl into my nest. I may listen to some of whatever audio book I’ve got on my iPod Nano, or take in the local sounds – river, frogs, creek, trees/wind. Sleep isn’t too far behind. As I said before, I sleep in a tent. Once upon a time, a well-known archaeologist, on a rock-art documentation trip, woke everyone up at 3 am. 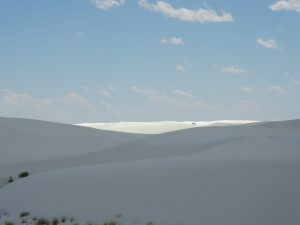 She was screaming in pain, all tucked into her sleeping bag, on her groundsheet, after a night spent sleeping under the stars. What happened? An inch-long scorpion decided to investigate the interior of her sleeping bag, and when the archaeologist rudely rolled onto it, it stung her on the shoulder. This story disturbs me. I don’t want it happening to me. I sleep in a tent. Yes, I know: tents are heavy, bulky, unnecessary, obscure your view of the night sky, etc. 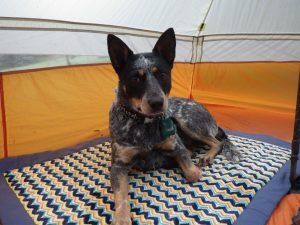 They also offer privacy in crowded camping areas, shelter in foul weather and, most importantly (to me) keep uninvited creatures from visiting in the middle of the night. 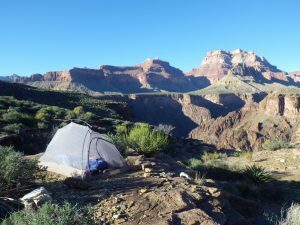 Since weight is something I try to minimize I searched around and settled on a very comfortable, stable and lightweight, single person tent – the Seedhouse 1 SL by Big Agnes. If I leave the included tent pegs at home, it weighs in at around 2 pounds. 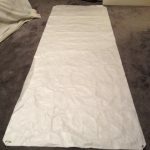 I cut my own footprint out of a piece of Tyvek 1443 R – it’s a soft, pliable form of Tyvek used to make kites and painters coveralls. It is sewable, water-resistant and extremely lightweight. I’ve also sewn a basic bivy sack out of it, and it works quite well. But, I digress. Once my little tent is set up, my 800 fill, 20 degree sleeping bag, made by the now-defunct GoLite company, goes in. I love this sleeping bag, it’s warm and fluffy and weighs under 2 pounds. This rests comfortably atop a Klymit Ozone pad, with a built-in, and comfortable, pillow. The Ozone is a couple of ounces heavier than the, now very popular, Neo sleeping pads. It’s also 100x quieter! I’ve learned that the slightest motion on a Neo initiates a crinkling/crunching/crackling noise, reminiscent of the failed “SunChips” bags that made so much noise. There is something about the sound of a crinkling potato chip bag, in the middle of the night, that sets my teeth on edge, like fingernails on a chalkboard. And that’s just if there is one nearby, forget my trying to sleep on one. Fifteen years ago, I was fine sleeping on a Z-Rest pad. Super light, high R-value (thermal resistance), and it folded neatly on itself. As my joints aged, I progressed to a ProLite self-inflating. It was better, but not much. To that, I added a closed-cell pad underneath. Still, not quite right. I have finally settled on the Klymit. So far, so good. Sleep is important to me. I admire those that can just throw down a tarp and their sleeping bag and go into a coma for 10 hours. I just can’t do it anymore. Simply put, I need a cushioning layer between me and the ground. 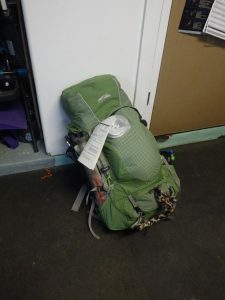 Packing Light: Getting the weight down without going to extremes. 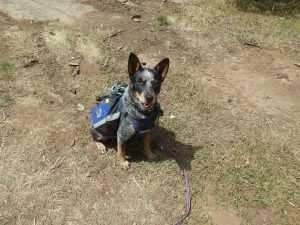 I don’t enjoy carrying a heavy pack. 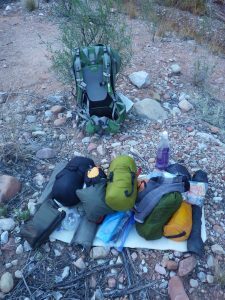 And, while I’m not a zealot or fanatic, I do try to reduce the weight and volume of the gear that I carry on multiday backpacking trips. 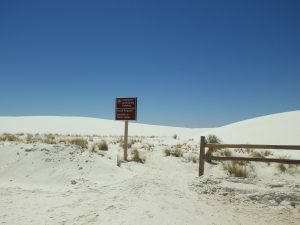 If you’re looking for extreme ultralight, minimalist tips/suggestions this isn’t where to find them. 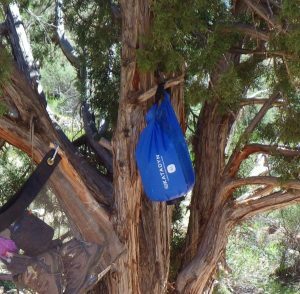 I’m the Ultralight (UL) backpacking version of Rudolph: I’d be banned from the “UL Club,” not invited to join in the UL Games. My backpack has a well-padded hip-belt and stays. I actually carry a (gasp) TENT! 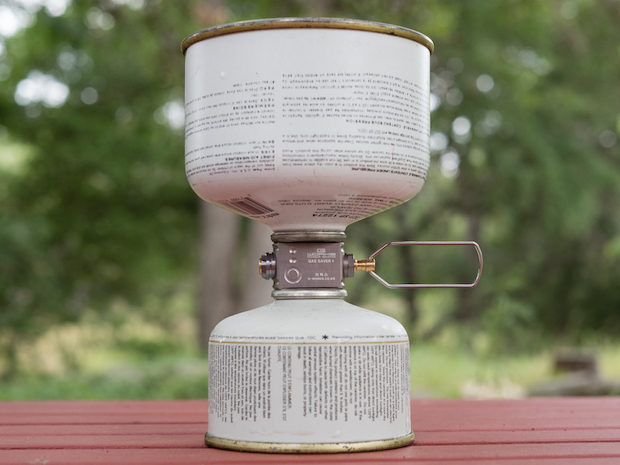 I use an isobutane canister stove (gasp, again). I carry and sit in a chair (Heathen!). I don’t cook/drink/eat out of the same cup. I refuse to rely on leaves when compact rolls of TP are easy to make and carry. I reduce weight and increase efficiency whenever I can, but I do like to be comfortable. You know, I like to enjoy the experience. Even with all of these, what some would decry as unnecessary luxuries, I manage to carry a sub-30 lb pack on multi-day trips (5-7 day), including water and food. It takes a bit of researching and trial and error, but it’s possible to build a lightweight, but very comfortable kit. Ask anyone that knows me, they’ll tell you I spend a lot of time reading up on gear – I love gear! Show me a lightweight, functional, multipurpose toy and my attention is yours. That said, I don’t like the idea of buying/replacing/tossing a piece of gear every season, every time a new variation comes along. I’ll do my homework, compare different models, variations, manufacturers and try to decide how long the item in question will last, and will a significantly more efficient/useful model come out in a year? Can I modify what I already have to be lighter and more usable? Can I make my own version, better for my purposes? Does it make sense to replace an existing, functioning piece of gear, for a “better” one? Sometimes, yes. A perfect example of this is my new stove. 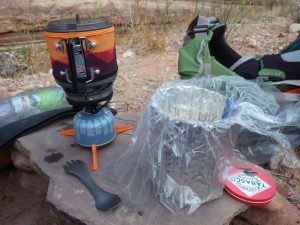 For several years, I’ve been using a very lightweight, titanium stove by Snowpeak – The Litemax. 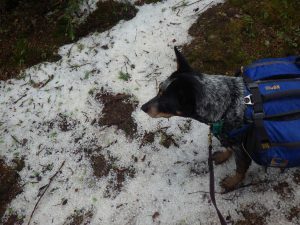 It comes in at under 2 oz, busts out over 11,000 BTU’s, and takes up hardly any space in my pack. That said, I’ve always found it susceptible to the slightest breeze – you have to build elaborate windscreens to protect it – and, it takes almost 3 1/2 minutes to bring a pint of water to a boil. I never put much thought into this, and just accepted it. I would carry a medium (8oz) canister of fuel for it, for a 7-day trip and it would be empty, consistently, at the end of the trip. With the stove, pot, stabilizer, cup/bowl, and lid the whole kitchen weighed in at 15 ounces. Last summer, I participated in a gear-testing outing, organized by my employer. 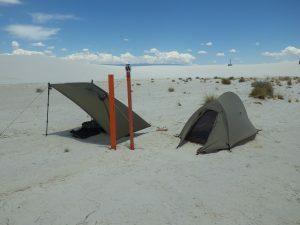 Several of us went out to test prototype tents, packs, shelters, etc. We each had our own cooking equipment, and I was able to witness a variety of stoves and set-ups. Jetboil stoves made up the majority. 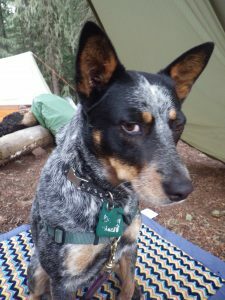 While those of us using traditional, open burner stoves (my Litemax, an MSR Whisperlight, an MSR Pocket Rocket, etc) were still waiting for our kettles to boil, the Jetboilers were already a couple minutes into actually rehydrating their meals. The system stoves were significantly faster. 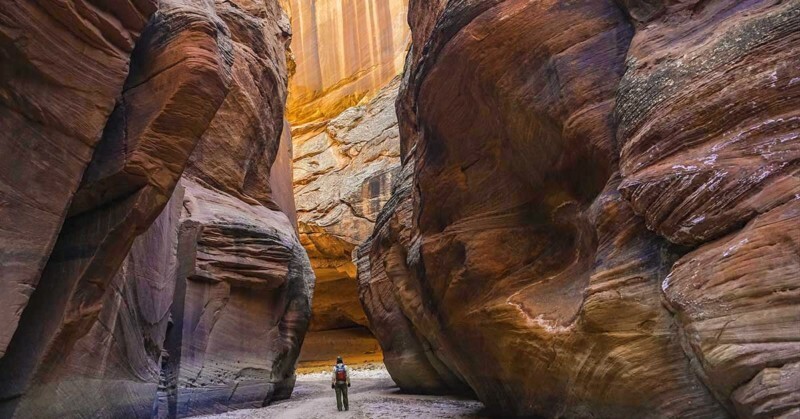 The other standout feature I noticed was their fuel canisters – the Jetboil devotees all had the tiny, 4 oz canisters and had fuel to spare at the end of the trip. They were significantly more fuel efficient, under 2 minutes to boil a pint of water. I decided to upgrade. I purchased a Jetboil MiniMo. The MiniMo has a regulator and valve that enables effective use in cold weather, something that other canister stoves leave you wanting, and great simmer control. On its inaugural trip, my recent 2-week Grand Canyon trip, I got 10.6 quarts of water boiled with one, 4 oz canister. My old Litemax averaged 4.5 quarts of water boiled with the same size canister. The system weighs just under a pound, and by switching the included lid with a lighter one I already had, I shaved off another ounce. I didn’t have to build a single windscreen. I ditched the lighter I needed with my Litemax (I do carry emergency matches) because the built-in igniter on the Jetboil is reliable. I’m a convert. Continuing with the cooking theme: anther way I reduce weight and volume and increase efficiency in the “kitchen” is by repackaging all of my food. 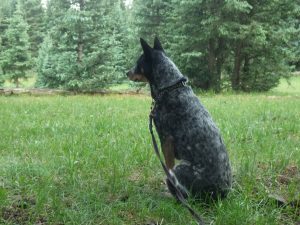 Friends that I camp with like to joke about my “dinner balls.” I am a freeze-dried food devotee. 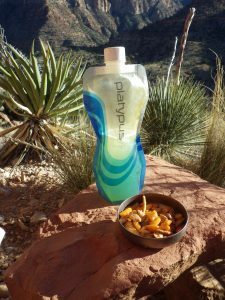 I find it tastes better than dehydrated, and side by side, usually holds more of its nutritional value than dehydrated. It’s easy to prepare. Most importantly, it’s lighter and more compact. I’ll repackage the meal, tossing the original, bulky packaging, using food safe oven roasting bags or crockpot liners. Just pour the dried meal into one corner of a roaster bag, twist it down into a small ball, tie it off with a twist-tie, trim off the excess and write the water measurement and boil time on the outside with a marker. If I do it right, I can get two meals bagged with one roaster liner, one in each corner. These weigh significantly less, in this form than they do as packaged by their manufacturer, and after I’ve eaten, the empty bag is much smaller to carry out than the empty, heavy foil pouch. No muss, no fuss. Next, I’ll rant about my camp “furniture” requirements. It has to do with the fact that I will NOT sleep out, under the stars, on a groundsheet. Something about scorpions, spiders, mice, packrats, sudden downpours….